Abstract: Scientists in Japan are struggling to assess the consequences of the Fukushima nuclear plant disaster amid continuing concerns over high levels of radiation. Now help is at hand in the form of the area’s wild monkey population. Radiation levels in the woods near the Fukushima nuclear power plant in the aftermath of the nuclear disaster is now going to be measured with the help of the primates. The two-month project is to kick off in spring 2012 (RT, 2011). Abstract: If you’re looking for a unique vacation experience, skip the beach this year and check out some of the world’s most notorious locations from the Atomic Age. A relatively new trend, nuclear tourism involves traveling to significant sites in atomic history. The headlines — including those for Japan's Fukushima disaster in March 2011 — make the concept controversial, but that's also what draws people in to learn more. These destinations include nuclear testing sites, “secret cities” involved in the Manhattan Project and the locations of nuclear disasters. While such sites are scattered throughout the world, several are located in the U.S., the birthplace of the nuclear bomb, and many are still cloaked in secrecy, allowing tours just once a year. The site of the worst nuclear disaster in history became a tourist attraction in 2011 when the Ukranian government deemed the radiation risks “negligible.” On April 26, 1986, a nuclear reactor at Chernobyl exploded, spewing out 400 times more radioactive fallout than the Hiroshima bomb. After the disaster, a highly contaminated area within a 30-mile radius of the reactor was sealed off until last year. Today, visitors can tour parts of Chernobyl, view the sarcophagus built over the plant, feed catfish in the nuclear plant’s cooling pond, and possibly tour the town of Pripyat where radiation levels are still relatively high. Oak Ridge didn't exist until the federal government evicted the area's rural residents in 1942, and the city didn't appear on a map until after World War II. Known as the "Secret City," it was established as one of three sites for developing materials for the Manhattan Project, and its residents lived a life of secrecy. The entire city was gated, the homes had no addresses, and the workers weren't told what they were working on. Today, Oak Ridge is still home to four secret military facilities, which U.S. citizens can tour one day only during the annual Secret City Festival. In addition to these one-of-a-kind tours, the city is also home to the American Museum of Science & Energy and the International Friendship Bell, the first monument between a U.S. Manhattan Project city and Japan. President Harry Truman established this site as the country's on-continent nuclear weapons testing area, and today the area is open to public tours once a quarter. Visitors have the opportunity to walk through "Doom Town," sets constructed by the Atomic Energy Commission to test the effect of radiation on buildings and the environment, and they'll see the Sedan crater, a 320-foot deep crater that resulted from a nuclear test. To find out the date of the next tour, contact the Department of Energy's Office of Public Affairs. Appointments must be made weeks in advance. In 1961, a secret underground bunker was completed beneath The Greenbrier Resort in Sulphur Springs, W.V., to protect Congress in the event of nuclear attack. The 112,544-square-foot bunker was built 720 feet into the hillside and had three outdoor entrances and one secret entrance inside the resort — a 25-ton blast door. It also featured decontamination chambers, a power plant, water storage tanks, a clinic with operating rooms, a pharmacy, and dormitories to accommodate more than 1,100 people. How did the government maintain such a massive effort? A group of employees worked undercover as the hotel's audio/visual service. The location of the facility remained a secret for more than 30 years until the Washington Post exposed it in a 1992 article. At that time, the government ended its lease with the resort, and The Greenbrier Resort began offeringbunker tours. Hiroshima is known as the first city in history to be destroyed by a nuclear weapon. On Aug. 6, 1945, the U.S. Air Force dropped an atomic bomb known as "Little Boy" onto the city, destroying almost 5 square miles of Hiroshima and killing 30 percent of the city's population. Today, tourists can learn about the bomb's terrible impact at the Hiroshima Peace Site, which is home to the Hiroshima Peace Memorial Museum and the Atomic Bomb Dome. Constructed in 1915 as a commercial building, the domed building was gutted by the bomb, and all the people inside it died instantly. Today the dome is a United Nations World Heritage Site and serves as a symbol for the abolition of nuclear weapons and a reminder of the devastation the bomb caused. On Aug. 9, 1945, Nagasaki became the site of the second and final wartime use of a nuclear weapon. The atomic bomb killed 74,000 people and instantly transformed the city into ruins. Today, visitors can tour the Nagasaki National Peace Memorial Hall for the Atomic Bomb Victims and visit the Nagasaki Atomic Bomb Museum and the Peace Park. The Titan Missile Museum in Sahuarita, Ariz., is the only publicly accessible Titan II missile silo in the United States. Visitors to this unique museum experience a simulated launch in the command center, walk through 3-ton blast doors, tour the underground missile site and see an actual Titan II missile in the launch duct. The 110-foot-tall missile is harmless now, but weighed 170 tons when it was fueled and ready to launch. The federal government created the Hanford nuclear reservation in 1943 as part of the Manhattan Project, and the Washington site is home to the world's first full-scale nuclear reactor. More than 20 years after Hanford stopped producing plutonium, it remains the country's most contaminated nuclear site. Cleanup is still under way. Visitors watch from a distance as workers in protective suits bury contaminated soil, and they tour the B Reactor, which features exhibits on the lives of the people who built it. The Department of Energy offers free tours of the Hanford site from April through September, but participants must reserve a seat in advance. Bikini Atoll is part of the Micronesian Islands and was the location of 23 U.S. atomic bomb tests from 1946 through 1958. The Bravo test in 1954 was the most powerful bomb the U.S. ever detonated — it was much more destructive than predicted and resulted in widespread radioactive contamination. Scuba divers can visit the atoll and explore its sunken fleet of 10 ships that were anchored in the lagoon during the nuclear tests. While the local government closed the atoll for tourism in 2008, some groups are still allowed to dive on the wrecks if they make arrangements with Bikini Atoll Divers. The first atomic bomb was tested at the Trinity Site in New Mexico on July 16, 1945, and visitors can see Ground Zero where the bomb was placed on a 100-foot steel tower before detonation. Tours of the site also include the McDonald house where the world's first plutonium bomb core was assembled, as well as historical photographs and a replica of the casing used on Fat Man, the bomb that was detonated over Nagasaki, Japan. This nuclear reservation in South Carolina was constructed in the 1950s to produce materials used in the creation of nuclear weapons, and there are five nuclear reactors on the site. Only U.S. citizens are permitted on the 30 annual public tours, which consist of a bus trip by the five reactors and the two canyons. The free tours begin and end at the Center for Hydrogen Research in Aiken, S.C., and participants must reserve a space in advance. Los Alamos is often referred to as the "Atomic City" because of its role in the Manhattan Project. In 1942, the federal government used its power of eminent domain to take over the Los Alamos Ranch School for Robert Oppenheimer and the other scientists working to build the atomic bomb. Today, the area is home to the Los Alamos National Laboratorywhose Bradbury Science Museum has a Defense Gallery that contains such items as a W80 warhead, an air-launched cruise missile and B61 and B83 bombs. The Los Alamos Historical Museum houses photos of atomic testing, Oppenheimer's memos and copies of leaflets the U.S. dropped in Japan to warn citizens about the bomb (MNN, 2012). Abstract: Seven decades after scientists came here during World War IIto create plutonium for the first atomic bomb, a new generation is struggling with an even more daunting task: cleaning up the radioactive mess. Hanford's Reactor B made plutonium for the first atomic bomb ever detonated. It also produced the plutonium for the bomb dropped on Nagasaki, Japan, in World War II. It was shut down in 1968. The U.S. government is building a treatment plant to stabilize and contain 56 million gallons of waste left from a half-century of nuclear weapons production. The radioactive sludge is so dangerous that a few hours of exposure could be fatal. A major leak could contaminate water supplies serving millions across the Northwest. The cleanup is the most complex and costly environmental restoration ever attempted. In exclusive interviews, several senior engineers cited design problems that could bring the plant's operations to a halt before much of the waste is treated. Their reports have spurred new technical reviews and raised official concerns about the risk of a hydrogen explosion or uncontrolled nuclear reaction inside the plant. Either could damage critical equipment, shut the facility down or, worst case, allow radiation to escape. The plant's $12.3 billion price tag, already triple original estimates, is well short of what it will cost to address the problems and finish the project. And the plant's start-up date, originally slated for last year and pushed back to its current target of 2019, is likely to slip further. "We're continuing with a failed design," said Donald Alexander, a senior U.S. government scientist on the project. "There's a lot of pressure … from Congress, from the state, from the community to make progress," he added. As a result, "the design processes are cut short, the safety analyses are cut short, and the oversight is cut short. … We have to stop now and figure out how to do this right, before we move any further." Documents obtained by USA TODAY show at least three federal investigations are underway to examine the project, which is funded and supervised by the Department of Energy, owner of Hanford Site. Bechtel National is the prime contractor. In November, the Energy Department's independent oversight office notified Bechtel that it is investigating "potential nuclear safety non-compliances" in the design and installation of plant systems and components. And the department's inspector general is in the final stages of a separate probe focused on whether Bechtel installed critical equipment that didn't meet quality-control standards. Meanwhile, Congress' Government Accountability Office has launched a sweeping review of everything from cost and schedule overruns to the risks associated with the Energy Department's decision to proceed with construction before completing and verifying the design of key components. The "design-build" approach "is good if you're building a McDonald's," said Gene Aloise, the GAO's director of nuclear non-proliferation and security. "It's not good if you're building a one-of-a-kind, high-risk nuclear waste facility." The Defense Nuclear Facilities Safety Board, an independent federal panel that oversees public health and safety at nuclear weapons sites, is urging Energy Secretary Steven Chu to require more extensive testing of designs for some of the plant's most critical components. "Design and construction of the project continue despite there being unresolved technical issues, and there is a lot of risk associated with that," said Peter Winokur, the board's chairman. The waste at Hanford, stored in 177 deteriorating underground tanks, "is a real risk to the public and the environment. It is essential that this plant work and work well." Energy Department officials acknowledged that the design questions are a significant challenge and likely to inflate the project's cost and timetable. "We've got tough technical issues to deal with," said David Huizenga, acting assistant Energy secretary for environmental management. "Each one of these issues that gets raised, we take it on and we work it until we've solved it. It might take a little longer than we'd hoped and cost a little more … (but) we will not operate a plant that cannot be operated safely." Bechtel managers also insisted that all of the plant's designs will be verified before it begins operations. "When complete, the facility will meet all safety and regulatory requirements," communications manager Suzanne Heaston said. Everything about the waste treatment plant at Hanford is unprecedented — and urgent. The volume of waste, its complex mix of highly radioactive and toxic material, the size of the processing facilities — all present technical challenges with no proven solution. The plant is as big as the task: a sprawling, 65-acre compound of four giant buildings, each longer than a football field and as tall as 12 stories high. The plant will separate the waste's high- and low-level radioactive materials, then blend them with compounds that are superheated to create a molten glass composite — a process called "vitrification." The mix is poured into giant steel cylinders, where it cools to a solid form that is safe and stable for long-term storage — tens of thousands of glass tubes in steel coffins. Once the plant starts running, it could take 30 years or more to finish its cleanup work. The 177 underground tanks at Hanford hold detritus from 45 years of plutonium production at the site, which had up to nine nuclear reactors before it closed in 1989. Some of the tanks, with capacities ranging from 55,000 gallons to more than 1 million gallons, date to the mid-1940s, when Hanford's earliest reactor made plutonium for the first atomic bomb ever detonated: the "Trinity" test at Alamagordo, N.M. It also produced the plutonium for the bomb dropped on Nagasaki, Japan, in World War II. More than 60 of the tanks are thought to have leaked, losing a million gallons of waste into soil and groundwater. So far, the contamination remains within the boundaries of the barren, 586-square-mile site, but it poses an ongoing threat to the nearby Columbia River, a water source for communities stretching southwest to Portland, Ore. And, while the liquid most likely to escape from the older tanks has been moved to newer, double-walled tanks, the risk of more leaks compounds that threat. "Each day without progress (in treating the waste) further threatens the Columbia River and its surroundings." Washington Gov. Chris Gregoire warned in November. "There are critical public health and environmental issues at play." The Bechtel company, under the direction of the Department of Energy, is building this waste treatment plant at Hanford to turn liquid radioactive waste into glass for safer storage. A 1989 legal agreement among the Energy Department, the U.S. Environmental Protection Agency and the state of Washington sets strict timetables for stabilizing the tank wastes, including a 2011 deadline to get the treatment plant running. Two years ago, a negotiated extension pushed the start-up date to 2019. But a November review by the Energy Department reported that the deadlines are at "significant risk," because of both engineering and budget concerns. The deadlines "were put in place to ensure the health and safety of the people of Washington and that commitment must continue," Gregoire said, urging that the federal government commit whatever funding is necessary to address the project's technical hurdles and keep it on track. "Falling behind schedule … is not an option." Most of the technical issues still vexing the project involve moving waste through the plant. The thicker, high-level waste doesn't flow according to usual laws of physics; it glugs like ketchup spurting from a bottle. The challenge is to keep it moving: If particles in the material accumulate, they can cause clogs, trapping potentially explosive hydrogen gas or, if too much plutonium masses together, triggering an uncontrolled nuclear reaction that generates extreme heat and radioactivity, threatening workers and the plant's operation. The challenge lies in the plant's huge pre-treatment building, where the waste traverses an intricate set of pipes and vessels as its radioactive streams are separated and sent to separate facilities for conversion into glass. To keep the waste agitated, many of the pre-treatment vessels contain "pulse jet mixers" that act like giant turkey basters, sucking the waste into tubes and expelling it through jet nozzles. "No one can stand up and say with any certainty that (the mixers) will work," said Walter Tamosaitis, who spent seven years as a supervising engineer on the project for URS Corp. before being reassigned in 2010. During his tenure, he filed memos and reports to top officials questioning the mixers' design. Some of the high-level waste has turned out to be more complex than anticipated, with plutonium particles up to 10 times larger than expected. That has heightened concerns among several scientists, including Tamosaitis and the staff of the nuclear facilities safety board, that the systems designed to churn that waste need further testing to address the threat of hydrogen buildup or a nuclear reaction. The mixers will be nearly impossible to repair or modify if they fail, because they will be too radioactive — they're in fortified rooms, known as "black cells," that will be sealed permanently when the plant begins operating. If the system malfunctions, Tamosaitis said, "the plant is dead in the water." Alexander, the Energy Department scientist, also worries about the pre-treatment mixing system. Because the mixing jets and vessels were not designed to handle the larger plutonium particles and other abrasives in the high-level waste, he said, the material is likely to erode the vessels' lining. Alexander, who has detailed his concerns in official filings, has run simulations showing that the vessels could fail well before the end of the system's 40-year design life, potentially causing a leak inside the plant. When the jet mixers expel waste into the vessels, they're "like a liquid sandblaster," and the mixing system needs years of extra testing and refinement to account for the problem, Alexander said. "If they don't make any changes and just move ahead, it lasts maybe 10 years." Tamosaitis and Alexander aren't alone in their concerns. The mixing system "is not necessarily a solid design," said Donna Busche, a URS employee who serves as manager for environmental and nuclear safety at the site. "The research isn't done, the design isn't done, and there are numerous technical and safety issues … to address." The Energy Department has agreed to do more testing of the mixing system's design, but is moving ahead with construction of the vessels before tests are complete. That means the equipment might have to be re-engineered and modified, or replaced entirely, if it fails. The alternative is to "take the pieces and parts that are sitting in the middle of a vendor's shop and leave them there, not have the vessel completed, while you wait for the results of a large-scale test," said Dale Knutson, the Energy Department's project director. Under the current plan, if the designs pass muster, "you haven't lost the ability to complete the work" on time. "We would not operate the facility in an unsafe condition," Knutson added. "The question is: Do you have an appropriate hold point in place, a place where you can stop" if the design proves to be inadequate? "In this particular case … that hold point is defined as prior to installation." The decision reflects the Energy Department's "design-build" approach: To speed completion, construction occurs while some features still are being designed. That strategy has fueled a progress-at-all-costs climate that discourages scientists from raising design concerns, said Winokur, the safety board chairman. "The safety culture is flawed." Project managers were too slow to address questions about the plant's mixing systems, Winokur said, noting that proper testing will take "several years" and should have started sooner. "Management is not adequately surfacing and resolving important technical and safety issues." Last week, a report by the Energy Department's health and safety office echoed many of the safety board's assertions. Assessing the treatment plant project, the report identified "significant concerns" about "processes for nuclear design … and for managing safety issues." Busche, the safety manager, said concerns about the potential for hydrogen buildup in components at the pre-treatment facility were pushed aside. The question is "how likely would an explosion be and would the equipment survive (and) contain the waste?" she said. The safety office raised "significant issues" about the mixing system's design because assumptions on hydrogen buildup were "not conservative enough" to account for all the risks, she added. In October, after many of the system's components already were being installed, Energy officials warned Bechtel in a letter that some of the piping had not been shown to meet safety requirements, records obtained by USA TODAY show. In a November response , Bechtel said it had ordered a "suspension of work" on the piping system pending more design review — a move the company described in a statement as a "conservative approach." Busche shares many of the concerns raised by Tamosaitis, Alexander and the safety board. "We're all coming at these issues in different ways," she said. But when they're raised, "the first question that gets asked is not 'how are we going to solve it?' It's 'how much is it going to cost?' … I've never seen this sort of flagrant disregard for technical issues." Project managers said that disagreements over risk and safety assumptions are to be expected on such a complex undertaking, but rejected the notion that concerns aren't taken seriously — or that money drives the response. It's in everyone's interests to build a plant that works properly and safely, said Richard Kacich, an assistant project director for Bechtel. "The earlier you know about (a safety issue), the earlier you can deal with it. … The culture of our company is highly supportive of bringing issues forward." "On a first-of-its-kind project, are there (design) challenges? Of course," he added. But "as with any nuclear undertaking, the way a project delivers is to focus on safety … and quality." Each challenge requires more work and more time — and more money. In its November construction report , the Energy Department warned that it's on a path to spend $800 million to $900 million more than the plant's current, $12.3 billion budget. When the project was launched, on what was expected to be a much smaller scale, it was budgeted at about $4 billion. "I can't give you an exact number or sense of what I think the project is ultimately going to cost," said Huizenga, the assistant Energy secretary, adding that managers are seeking ways to offset the projected cost overruns. He also declined to estimate when the plant might start or finish treating tank waste, though he reiterated that deadlines for both tasks are "at risk." The overrun figures may be just a hint of what's to come: They don't include major modifications that officials now are contemplating to address some of the technical problems that have emerged. Because of the complex nature of some of the tank waste, including the larger plutonium particles, Energy Department officials including Huizenga acknowledge that a portion of the material probably will require some sort of preliminary processing before it can be sent into the pre-treatment facility. Potential solutions include reconfiguring the pre-treatment facility or designing and building equipment to filter the waste as it's removed from the tanks. Any changes would cost money unaccounted for in current budget projections. "They will need to find alternative ways to treat some of that material," Winokur said. "There will need to be additional investments." That's not the only problem that would require more spending, he said. He noted, for example, that the treatment plant's current design, which has been modified several times, has the capacity to treat only about 50% of the less complex, low-level radioactive liquid waste that it's supposed to handle. And no plan has been finalized — or budgeted — for how to process the rest. Tamosaitis and Alexander said they believe it will take billions of dollars in added funding to complete the project. Congress already is showing frustration with the plant's escalating cost and engineering problems. The 2012 appropriations bill that funds the Energy Department directed officials to do a major review of "contract management" for all nuclear facility cleanups with budgets over $1 billion. The study is due in May, according to the bill, and must assess whether practices "foster a positive nuclear safety culture or resolve nuclear safety-related design issues." Lawmakers also balked at the department's 2012 funding request of $840 million for the project — a 22% increase from the $690 million a year that was projected. Instead, lawmakers agreed to $740 million. The reduced amount probably is not enough to keep the construction on schedule given the engineering challenges that have emerged, Huizenga said. Still, he added, the project "is an extremely high priority for us," and the department will push ahead until it is complete. Ultimately, "cost and schedule are less important than the quality and safety of the plant," said Tom Carpenter, executive director of Hanford Challenge, a public interest group that monitors the project and works with whistle-blowers to see that safety issues are addressed. "It's got to work" (USA Today, 2012). Abstract: They were the nuclear guinea pigs of the Cold War. The fallout from that bomb reached 1,000 miles (Daily Mail, 2012). Abstract: Vladimir Putin praised Cold War-era scientists on Thursday for stealing U.S. nuclear secrets so that United States would not be the world's sole atomic power, in comments reflecting his vision of Russia as a counterweight to U.S. power. Spies with suitcases full of data helped the Soviet Union build its atomic bomb, he told military commanders. "You know, when the States already had nuclear weapons and the Soviet Union was only building them, we got a significant amount of information through Soviet foreign intelligence channels," Putin said, according to state-run Itar-Tass. "The were carrying the information away not on microfilm but literally in suitcases. Suitcases!" Putin's remarks referred to the dawn of the Cold War more than half a century ago, but they echoed a message he has made loud and clear more recently: that the United States needs to be restrained, and Russia is the country to do it. It has been known for decades that there were spies among the scientists who worked on the Manhattan Project, the U.S. atomic bomb design operation. Putin suggested those who helped Moscow build its bomb acted out of concern for humanity. "It was the cream the scientific world that was gathered in America, and I personally have gotten the impression that they consciously gave us information on the atom bomb," Putin was quoted as saying. "They did this consciously because the atom bomb had been used on Hiroshima and Nagasaki and scientists from mankind's intellectual elite at the time understood what unilateral possession of such a weapon might lead to." A need for Russia to act as a counterweight to U.S. power has been a continuous theme of Putin's time in office since he - himself a former Soviet spy - became president in 2000. He stepped down in 2008 to become prime minister but is poised to reclaim the presidency in an election on March 4. Last year he criticized the United States for helping Libyan rebels oust Muammar Gaddafi. Lately he has suggested Washington has similar designs on Syria, where Russia has vetoed U.N. action. Earlier this month Putin said the world faced a growing "cult of violence" (Reuters, 2012). Abstract: WHILE many believed it to be an April Fool's Day joke, Vladimir Putin has confirmed Russia has been testing mind-bending psychotronic guns that can effectively turn people into zombies. The futuristic weapons - which attack their victims' central nervous system - are being developed by scientists and could be used against Russia's enemies and even its own dissidents by the end of the decade. Mr Putin has described the guns, which use electromagnetic radiation like that found in microwave ovens, as entirely new instruments for achieving political and strategic goals. Plans to introduce the super-weapons were announced by Russian defence minister Anatoly Serdyukov. While the technology has been around for some time, MrTsyganok said the guns were recently tested for crowd control purposes. “When it was used for dispersing a crowd and it was focused on a man, his body temperature went up immediately as if he was thrown into a hot frying pan," Mr Tsyganok said. "Still, we know very little about this weapon and even special forces guys can hardly cope with it,'' he said. Research into electromagnetic weapons has been carried out in the US and Russia since the '50s but it appears Putin has stolen a march on the US. Precise details have not been revealed but previous research has shown that low-frequency waves or beams can affect brain cells, alter psychological states and make it possible to transmit suggestions and commands directly into someone's thoughts. Mr Putin said the technology is comparable in effect to nuclear weapons but “more acceptable in terms of political and military ideology''. Mr Serdyukov said the weaponry based on new physics principles - direct-energy weapons, geophysical weapons, wave-energy weapons, genetic weapons and psychotronic weapons - were part of the state arms procurement program for 2011-2020. Maybe there will be a reason to purchase that zombie safe house, after all. Last year Texan Austin Fleming’s created the Vagabond Mobile Safe House Device, which incorporates potable water filtration, tracking devices and photovoltaic cells into a handy and stylish leather backpack. The whole things flips out armadillo-style in under three minutes and is covered in reflective coating to confuse drooling marauders. The design won the 2011 Architects Southwest Zombie Safe House competition (Herald Sun, 2012). Abstract: A joint venture between Jordan Energy Resources Incorporated and French nuclear giant Areva said on Tuesday it has discovered more than 20,000 tonnes of uranium in the Middle East kingdom. The Jordanian French Uranium Mining Company said 12,300 tonnes of uranium had been found in central Jordan last year, and now "the overall uranium potential on the licensed 70 square-kilometre (27 square miles) area exceeds 20,000." "These potential resources are considered strategic for Jordan since they should enhance its future nuclear fuel supply security," JFUMC said in a statement. The joint venture said "technical and economic studies will be conducted in 2012 to assess the feasibility of a uranium extraction programme... taking into account the current and future uranium market outlook." It would seek to identify "the best scenarios for the future mining activities in central Jordan," taking into consideration the country's economic situation and plans to build "a strategic stock for its independence along with the development of a nuclear programme". Jordan, which imports 95 percent of its energy needs, is currently struggling to find alternatives to unstable Egyptian gas supplies, which normally cover 80 percent of the kingdom's power production. Since 2011, the pipeline supplying gas from Egypt to both Israel and Jordan has been attacked 14 times. With desert covering 92 percent of its territory, Jordan is one of the world's 10 driest countries and wants to use atomic energy to fire desalination plants to overcome its dire water shortage. A consortium formed by Areva and Japan's Mitsubishi is competing with Russia's Atomstroyexport to build Jordan's first nuclear plant (AFP, 2012). Abstract: A pair of Russian strategic nuclear bombers were intercepted near the Pacific coast Wednesday, the Washington Free Beacon reported — the second such incident in two weeks. In May, Russian Gen. Nikolai Makarov, the chief of the Russian General Staff, said during a Moscow conference that because missile defense systems are destabilizing, “A decision on pre-emptive use of the attack weapons available will be made when the situation worsens.” The comments highlighted Russian opposition to planned deployments of U.S. missile defense interceptors and sensors in Europe. “It’s becoming very obvious that Putin is testing Obama and his national security team,” McInerney told the Free Beacon. “These long-range aviation excursions are duplicating exercises I experienced during the height of the Cold War when I command the Alaska NORAD region” (The Blaze, 2012). Abstract: I’m not a physicist but I understand physics better than most. Not just any physics since the field is even more specialized than medicine. You wouldn’t see an endocrinologist for lower spinal surgery would you? You also wouldn’t see a physicist preoccupied with the Bose-Higgson to evaluate the elements found in the 35+ dust samples taken by the USGS at Ground Zero. Specifically, thorium, uranium, strontium, barium, cerium, lanthanum, yttrium, potassium, sodium, antimony, molybdenum, magnesium, vanadium and several other elements were collected in dust samples mapped at Ground Zero and collected in double bagged procedure. My specialty is nuclear demolition and even more specifically, fusion triggered fission devices of a micro-scale. Although I may be a layman I’m a retired layman and my hobby is reading. Granted, some folks my age love golf, or fishing, or hunting, or any myriad of hobbies and beloved passtimes. I read. All day. Every day. My personal philosophy not realized until my very late 40s, like 49, is that the purpose of life is to educate ones self and the primary sources of education based on Socrates and Plato’s philosophies is reading and dialogue or cordial argument between adversaries. Of course I can’t read along with you but I can provide you with some brief dialogue to consider. We live in what I call the Age Of Depletion. Examine peer reviewed geologic data and copper is going to deplete in the near future, around 2040 or soon thereafter. Sooner than other natural resources. Copper powers everything and there are only very poor replacements; aluminum loses significant current to the atmosphere. In the Age Of Depletion governments have access to the very latest science and they plan not just this year, next year and the year fater but 25, 50 and 100 years in advance and they develop contingency plans for every possible scenario that might develop. We could accurately state that they have plans A, B, C, D, E, F, G, H, I, J and K with several more plans like REX84 and other such described executive measures to protect the elite, the wealthy, and the influential. We also live in what I call the Age Of The Micro Nuclear Device. Interestingly, these devices don’t look much different than conventional large explosive devices except they’re quite small, and far more importantly they’re designed using a fission/fusion hybrid detonation mechanism which reduces residual radiation in three significant ways. First, total radiation is reduced by 97-99% and second, residual radiation dissipates in just days, a week at the most. Last, moisture, rain, flooding or water of any kind also rapidly reduces the radiation to almost undetectable levels. The international nuclear treaties covered pure fission of plutonium and uranium. They do not cover hybrid fusion triggered fission devices of the type I described above. The global military industrial complex, intelligence agencies, shadow governments (your choice of terminology here) and influential wealthy criminal cabals needed to develop weapons that weren’t covered under international treaties and thus could be used with impunity. This was done. Micro sized fusion triggered fission devices work perfectly and aren’t covered by international treaties. A fusion triggered fission device detonates in less than 600 billionths of a second; approximately 550 billionths for the fusion process and 50 billionths for the fission, and sometimes much less. The fusion boost increases total yield many fold yet reduces overall radiation output. I mentioned the Age Of Depletion for a critically and crucial reason. We are in it. Lumber, water, petroleum, copper, the rare earth metals and certain other natural resources are in short supply when viewed across the next several decades. We have a hard time planning next month. Governments plan 25, 50 and 100 years in advance as I mentioned. Bali, Beirut, the USS Cole, Mumbai and several other alleged terrorist bombings were false-flag micro-nuclear events perpetrated by intelligence organizations to further the agenda of regime change and the fraudulent and farcical War On Terror which now manifests itself in every country, the USA included. Micro nuclear devices were used in Oklahoma City and several other false flag terror events perpetrated by the rogue and not-so-rogue intelligence community. Micro-nuclear devices are here to stay. Nuclear grenades. Nuclear golf balls. Nano-nukes. Just ask the 1000s of dead First Responders who have often died from not one, not two, but three rare cancers. Reggie Hillaire just recovered last year from thyroid cancer. He just came down with Multiple Myeloma, a rare blood plasma cancer that only afflicts people over 70. Reggie is under 50. Multiple Myeloma, non-Hodgkins Lymphoma, Esophageal cancer, Brain cancers, Pancreatic cancers, Leukemia and other forms of RAPIDLY developing cancer is seen in First Responders yet never before seen anywhere else other than Chernobyl, Nagasaki and Hiroshima. This isn’t an essay to theorize that 911 was a nuclear event. It’s an essay to wake up America, perhaps the world, that highly sophisticated micro-nuclear devices not only exist but are used with some fair regularity. Nuclear physicist Dr. Christopher Busby found proof of these devices in the deserts of Iraq, specifically in Fallujah bomb craters and other local Iraqi areas using hair samples from many dozens of volunteers. Enriched uranium was used in Iraq. His report was published in a prestigious peer reviewed journal in the UK within the last few months. 911 was nuclear. It’s not the first nuclear event and it won’t be the last. Expect more. It’s inevitable. I believe a nuclear event will happen again in the USA. Last, I’d like to make it clear as the sun rises that the newest micro nuclear devices look nothing like you might expect when detonated, leave almost no detectable radiation for more than a few days at most, sometimes only hours, require sophisticated detection equipment to distinguish and identify the rare isotopes and can often mimic the explosion of a small grenade. Don’t be fooled. These devices are used with great regularity. Here is unequivocal and irrefutable physics, chemistry and mathematics proof that 911 was a nuclear event: http://www.datafilehost.com/download-b128ac41.html (Veterans Today, 2012). Abstract: A company charged with decontaminating the devastated Fukushima Nuclear Power Plant encouraged its workers to falsely lower their radiation dosimeter readings by covering the devices with lead, according to a leaked tape of an internal meeting. Nuclear plant workers are not allowed to be exposed to more than 50 millisieverts of radiation a year. But managers at Build-up, a company that provided insulation on the pipes that would pump irradiated water out of the plant, believed that doses experienced inside the plant, which suffered a meltdown, meant workers would quickly reach their limit. A senior executive gave the team at the site lead boxes that they were told to make into shields. The workers were then told to place these over the dosimeters. Lead effectively blocks radiation, and produces a significantly lower reading. When some of them refused, the executive called a meeting. The executive cajoled the workers by saying, “You can no longer make a living when the dose runs out,” according to a tape that was given by somebody present at the meeting to the Asahi Shimbun newspaper. "I think this is almost a crime," retorted one of the workers. An argument broke out, and while the executive said the decision was voluntary, the rhetoric became threatening. "Perhaps you are not cut out for working at nuclear plants," he said. "Go back to your hometown and do some other job." Three of the workers resigned immediately, while at least nine agreed to wear the shields. Fukushima was severely damaged during a tsunami and earthquake last March. Three of its reactors suffered full meltdowns, releasing potentially fatal doses of radiation exceeding the normal levels by a factor of thousands. Official logs list one of the workers who agreed to wear the shield among those exposed to the highest dose of radiation out of all 5,000 clean-up operatives at the plant. His real exposure is likely to have been exponentially higher. Build-up worked at the site from November 2011 until March 2012. The company has admitted that workers used the shields on at least one occasion. The government says it will launch an investigation. TEPCO, the much-maligned plant operator who hired Build-up, say they were aware of the existence of the shields, but believed they were never used by workers. It is not clear if shields were also used by other contractors. A newly-published Stanford University study says that between 15 and 1,300 people could die as a result of exposure to radiation from Fukushima (RT, 2012). Abstract: The city of San Francisco plans to convert former Naval base 'Treasure Island' into a residential neighborhood, but new reports by the US Navy and public health officials suggest the island may be more radioactive than previously believed. Construction is set to begin on a planned 20,000-person high-rise community in 2013, right in the middle of scenic San Francisco Bay. Treasure Island, whose former facilities included a training center for radioactive decontamination, is already the site of multiple recreation centers and home to 2,500. But recent reports have put the city’s lofty plans for the manmade island on hold. While the past use of the island as a naval site is public knowledge, new reports compiled by civilian investigators hired by the Navy have revealed that radioactive exercises at the base were more extensive than previously revealed. The new Navy report and several emails cite numerous concerns from public health officials over the actual levels of leftover radioactivity, San Francisco-based nonprofit news publication The Bay Citizen reported. New investigations have revealed that gun sights on Navy ships containing radioactive material were routinely repaired there. Several ships from the Pacific fleet that may have been contaminated by radiation from US nuclear bomb tests also underwent refits at the island. The report showed that the Navy was so concerned about radioactive contamination on the island at one point that it built a ‘counting room,’ which would measure whether personnel had been overexposed to radiation. The Navy previously revealed that the island was home to training programs on how to decontaminate radioactive ships. A mock-up ship, the USS Pandemonium, was repeatedly doused with radioactive material and cleaned by Navy trainees. The Navy claimed that the material used on the ship was not highly radioactive, and dissipated within weeks. But a classroom spill in 1950 prompted a cleanup, and 200 barrels of contaminated material were dumped into the ocean. When the Navy cleaned up the island in 1997, they disposed of the remains of the USS Pandemonium at an undisclosed location, and declared the former training sites clear without testing them for radiation. The Navy has yet to reveal the location of the scrapped USS Pandemonium. The Navy is selling the island to the city of San Francisco for $105 million, prompting health inspectors to press the Navy for more details after discovering contaminated soil areas that had previously been declared clean. In December 2010, Navy contractors excavated and removed 16,000 yards of contaminated dirt, some with levels of radioactivity up to 400 times the Environmental Protection Agency’s limit for human exposure. In another incident in August 2011, the Health Department raised concerns that a contracted Navy cleanup crew may have accidentally exposed children on the island to radioactive dust at a Boys & Girls Club and a child development center. Overall radiation levels on the island are only slightly higher than the exposure one would receive in a typical backyard, and do not pose a threat to the planned community, nor to the residents already living there, the Navy and the Department of Toxic Substances Control said. But health officials and activists argue that those assessments are premature, as the contractors hired to remove waste based their efforts on the 2006 report, which health officials consider erroneous in light of recent developments. By May of that year, over 1,000 truckloads of radioactive waste had been removed from the island, with more to go, Woods wrote, concluding that such a massive cleanup operation would certainly undermine the Navy's 2006 report. The island is therefore much more radioactive than the Navy had previously acknowledged, he said. “That amount of radium found to date cannot be explained by gauges, deck markers and decontamination activities,”he wrote (RT, 2012). Abstract: Enormous quantities of decommissioned Russian nuclear reactors and radioactive waste were dumped into the Kara Sea in the Arctic Ocean north of Siberia over a course of decades, according to documents given to Norwegian officials by Russian authorities and published in Norwegian media. Novaya Zemlya was a nuclear weapons testing site during the Cold War. Russia has conducted a number of other expeditons to chart undersea sources of radiactive pollution since 1994, but without Norwegian assistance, said Aftenposten (Bellona, 2012). Abstract: Britain’s nuclear waste could be used to power spacecraft as part of government attempts to offset the huge cost of the atomic clean-up by finding commercial uses for the world’s largest stock of civil plutonium. A £1m pilot programme by the European Space Agency has shown that nuclear batteries for use on deep space missions could be made from an isotope found in decaying plutonium at the Sellafield waste storage site in Cumbria. Britain’s National Nuclear Laboratory has harvested americium-241 from the plutonium, produced from reprocessing fuel. The ESA believes this could replace plutonium-238, only available from Russia and the US, and provide an independent source of energy for planned deep space missions to Jupiter and other distant planets. Tim Tinsley, who manages the programme for the NNL, said the space battery was an unforeseen benefit of past inaction, which has left 100 tonnes of plutonium in ponds at Sellafield. Full-scale battery production would be “worth hundreds of millions of euros” and provide skilled jobs in west Cumbria, an area of high unemployment, he said. Nuclear batteries – each containing about 5kg of nuclear material – have been around since the 1950s and are used in Nasa’s Cassini and Voyager probes as well as Curiosity, which landed on Mars in August. As the isotope decays, it gives off heat for several decades. This can either be used to keep instruments warm in the cold of deep space or converted to electricity for power. Once spacecraft fly beyond Mars, out of the sun’s rays, solar power is not available. Carla Signorini, ESA head of electrical engineering, said Sellafield was one of few places where the work could be done and that progress was “excellent”. The department for energy said the programme could generate “considerable income”. Other possible uses for the batteries would be in sea buoys or underwater equipment for the oil and gas industry. The US may also need a fresh supply. Plutonium-238 can be made only in reactors dedicated to weapons, now shut down, and Nasa’s stocks could run out in 2018, according to the US National Research Council. The programme’s future depends on how much money the government allocates to the UK Space Agency, which funds it via the ESA. The agency said it would like to press ahead but the batteries were lower priority than a new telecommunications platform and weather satellite. The clean-up costs of Britain’s nuclear programme are estimated at up to £100bn, with £3bn spent annually, while the plutonium alone is a £4bn liability. NNL, a government agency run under contract, has joined Systems Engineering & Assessment, a specialist engineering group active in the space sector, and the University of Leicester, which has a large space department, to run the programme. Britain’s National Nuclear Laboratory has a pipeline of money-spinning products as well as its vital role in maintaining the safety and security of Britain and the world’s nuclear capability, according to Graham Fairhall, its chief scientist. The government-owned NNL is run under contract by Battelle, the non-profit research group which also operates US nuclear laboratories, together with Serco, the facilities management group, and Manchester University. Its recent innovations include the RadBall, an alternative to the Geiger counter in detecting radiation. The grapefruit-sized polymer-based device has been tested at Sellafield and shows “tremendous promise”. It can pinpoint radiation sources in an area without needing to send in a person and can reduce clean-up costs by targeting tiny sources of emissions. The NNL, based near Warrington, with labs at Sellafield, Preston and Workington, was spun out of BNFL when the state-owned nuclear group was broken up in 2008 and employs 780 people. It is enjoying a new lease of life as the UK prepares to start building nuclear power stations again, Prof Fairhall said. It is making the business case to commission never-used labs – mothballed a decade ago – that could handle the world’s most radioactive materials. They feature five cabinets with leaded glass and robotic manipulators that could experiment on spent fuel and waste. The amount the government spends annually on nuclear research has dropped from £450m in 1972 to around £20m now, but NNL has £80m of income from winning commercial business (FT, 2012). 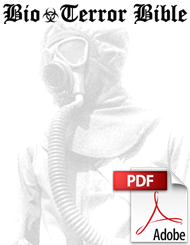 Abstract: A college professor from St. Louis, Missouri claims that allegedly harmless chemical sprays that doused the city in the 1950s and ‘60s as a Cold War-era protection measure was something much more sinister. Lisa Martino-Taylor, a sociologist at the St. Louis Community College in the Midwest, has been endlessly digging through publically available archives and documents obtained through Freedom of Information Act requests to learn more about a bizarre spraying program that blanketed parts of her hometown and other cities during the Cold War. At the time, the US Army admitted to showering certain locales with a chemical mixture, but said it was to test smoke screens they’d deploy to shield St. Louis from any nuclear assault by way of Russia. According to Martino-Taylor, the Army and others misled the public and actually poisoned residents of St. Louis and other cities with a dangerous compound composed of zinc cadmium sulfide and radioactive elements. "It was pretty shocking. 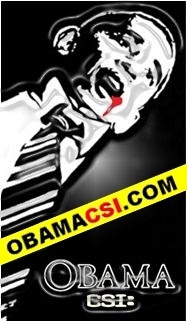 The level of duplicity and secrecy,” the researcher tells St. Louis’ KSDK. “Clearly they went to great lengths to deceive people." Martino-Taylor has been researching what she calls the Manhattan-Rochester Coalition since at least 2011, but only last month formally presented her findings. In it, she suggests that tests in St. Louis and in Corpus Christi, Texas involved military personnel relying on low-flying airplanes to spray city skylines and even in some instances using chemical sprayers placed atop skyscrapers and station wagons, all the while using unsuspecting citizens as test subjects in the budding steps of biological warfare. "The study was secretive for reason. They didn't have volunteers stepping up and saying yeah, I'll breathe zinc cadmium sulfide with radioactive particles," she tells KSDK. Instead of using curious citizens as test-subjects, the Army resorted to waging a secretive radioactive war on its own impoverished townspeople: according to the material Martino-Taylor has collected, the military launched no fewer than 16 tests in only the year 1953 that involved 35 separate releases of zinc cadmium sulfide in St. Louis. The neighborhoods affected, the professor found, were described at the time as "a densely populated slum district” that held around 10,000 low income residents, mostly children. Martino-Taylor says she hasn’t been able to confirm for certain that St. Louisans were subject to radiological testing, but tells KSDK, "There's an awful lot of evidence that there were radiological components to the study." She says that a powder form of zinc cadmium sulfide was mixed with fluorescent particles so that dispersal patterns could be traced among unknowing test-subjects, and that a company called US Radium — previously put before a judge for radioactively contaminating its workers — has been linked to the scandal. "US radium had this reputation where they had been found legally liable for producing a radioactive powdered paint that killed many young women who painted fluorescent watch tiles," she says. On Monday this week, local lawmakers terrified of Martino-Taylor’s analysis asked the Army to come forth and explain the actual merits of the mysterious spray program that has long been acknowledged, but not necessarily with the greatest of accuracy. "The idea that thousands of Missourians were unwillingly exposed to harmful materials in order to determine their health effects is absolutely shocking. It should come as no surprise that these individuals and their families are demanding answers of government officials," State Senator Roy Blunt (R) tells the Associated Press. State Sen. Claire McCaskill, a Democrat, has also asked Army Secretary John McHugh for more information in a letter sent this week. "The Senate and House had investigations back in the 1990s but nothing ever came of it," Martino-Taylor says. "Nobody has ever talked to the people who were exposed" (RT, 2012). Abstract: The Canadian Nuclear Safety Commission (CNSC) ordered that a small shipment of radioactive kitchenware, that found its way to the Port of Montreal, be taken out of the country. The CNSC issued an order on Oct. 5, demanding that the contaminated container be sent back to India by Hanjin Shipping Canada — the company that delivered the cargo to Montreal's port last May. André Régimbald, the director of nuclear substance regulations for the Canadian Nuclear Safety Commission, said "this was a relatively low-risk package or container and therefore, there was no need at that time to take immediate strong measures to get the container out of the port." According to the order issued to Hanjin Shipping Canada, the utensils inside the two-cubic-foot box are contaminated with Cobalt-60, a radioactive isotope often used for medical radiation. The Canadian Borders Services Agency (CBSA) found the merchandise during routine scans performed on incoming cargo. Régimbald said the kitchenware's radioactivity could stem from a failure to properly recycle medical devices. "There could have been a source that is used in medical devices," he said. "[Devices] to treat cancer, are very high-level sources and the replacement and disposal…is extremely regulated and it is possible that the source was inadvertently misplaced or misdisposed and found its way in the recycling industry, was melted with other metals and the metal was used to produce all sorts of manufactured goods." The safety commission said the material does not pose any risk to the health and safety of workers or the environment in its current location but would rather see the package sent away than seeing its contents accidentally travel to distributors. Régimbald said Canada has seen an increase in contaminated packages coming from Asia since 2011. According to the commission, the CBSA has intercepted about 15 shipments with radiation levels, above the permitted threshold since the Fukushima Daiichi nuclear plant meltdown in Japan. Most of these cargos were sent to Vancouver. Régimbald said that in most cases, the radiation was on the outside of the shipping containers and not within. "We had a few cases like that but the Japanese authorities dealt with it and dealt with the problem," he said. Hanjin Shipping Canada has until 12 p.m. on Oct. 26 to remove the container from Canada. Gordon Edwards, spokesman for the Canadian Coalition for Nuclear Responsibility said "I think it shows that our regulator is really lax, that they don't act very quickly and also act with a lot of due deliberation because simply sending it back to where it came from, there's no guarantee that it won't be sent to some other consumer somewhere else in the world." Gérimbald said the Indian authorities have been advised by the commission that there may be a problem with the control of radioactive sources and contamination in household products (Yahoo News, 2012).